A Love For Seniors is a limited liability partnership whose partners have a combined 25 years of experience in the senior care environment. This collective experience ranges from personal caregiving to administrator/owner of a residential board and care home along with senior placement services. 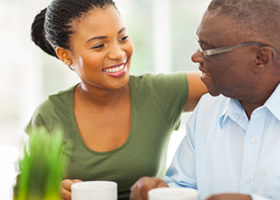 A Love For Seniors is a free senior placement service created to provide alternatives to seniors who are in need of assistance with their activities of daily living. Whether it is finding a residential board and care home, assisted living facility or in-home care, we guide them to the best options for their care needs. We begin with a confidential evaluation and assessment of each client. Next, a personalized care plan is designed based on the needs of the individual. Then guided tours are provided to show the facilities that best fit the care needs of the client. We work within your budget and preferred location. A Love For Seniors provides resources to ensure ongoing support for seniors and their loved ones. They include: Elder Law Attorneys, Transportation Services, Movers and Moving Assistance Options, In-Home Care Providers, VA Aid and Attendance, Mobile Notaries, Case Management and more. We specialize in helping seniors find residential care homes, assisted living facilities, and in-home care assistance. A Love For Seniors is dedicated to helping you and your loved ones through what can be a difficult time for many families. We specialize in senior care management, guiding you through the process of selecting the best option for your individual care needs. Our free in-person assessment provides the essential details to determine the necessary level of care. Our partners have a combined 25 years of experience in the senior care environment, this collective experience ranges from personal caregiving to administrator/owner of a residential board and care home along with senior placement services. There is comfort in knowing you have choices, and we are there to help you find the optimal solution. A Love For Seniors is a free senior placement service created to provide alternatives to seniors who are in need of assistance with their activities of daily living. Whether it is finding a residential board and care home, assisted living facility or in-home care, we guide them to the best options for their care needs. Facilities that offer 24-hour supervision and assistance with daily activities of living. Social activities provide seniors with a sense of community. Accommodations are in apartment style rooms which add a feeling of independence. Independent living is designed for seniors aged 55 and older. In general, senior housing is friendlier to older adults, often being more compact, with easier navigation. 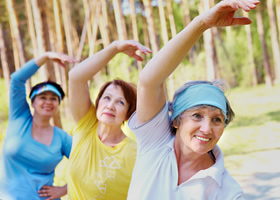 While residents live independently, most communities offer amenities, activities, and services. For seniors who choose to remain at home, caregivers can provide in-home support ranging from a few hours a day to 24hour care. This solution offers seniors assistance while providing their care in the comfort of their own home. Seniors with Alzheimer's may need special accommodations to keep them safe while navigating unfamiliar challenges. These facilities provide highly specialized environments and activities designed to meet these needs. Referred to as Board and Care Homes, they offer non medical care services in a comfortable home-like setting. Caregivers provide around the clock supervision to make sure residents are safe. Seniors with mild memory loss or mild to severe dementia may need these specialized facilities that are designed to help manage day to day challenges of memory loss. 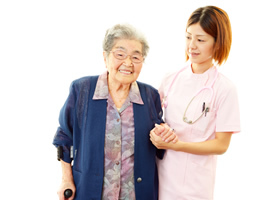 Senior care is provided in a secure and safe environment. 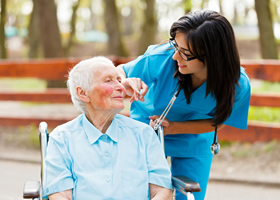 Nursing home, also known as skilled nursing facilities, are medical facilities offered for several different reasons. They are designed to help individuals whose needs range from short term rehabilitation to long term care due to chronic care needs.